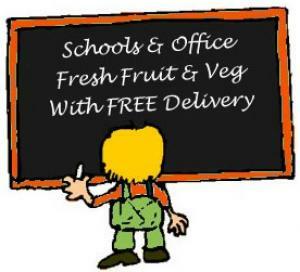 Our fresh fruit and vegetables are sourced daily. When you order eg. a kilo of apples, the actual weight may be a few grams over / under the kilo - this is unavoidable - you will be charged for the actual weight, but we will make every effort to get the weight as close as possible to your order. If there is more than a 10% discrepancy we will ring you to check whether you would prefer to change your order. Some items may be withdrawn if not available on the day. If any of our products are unavailable we will replace your original choice with a close alternative, and note any substitutions on your paperwork. All images on the site are a guide to the appearance of the product. Delivery is by default next day, you will be given further information and specific option during step 3 of the checkout process. Your order can be cancelled by telephone up until the close of business the day before your order is due for delivery. If any goods are unsuitable they will be exchanged or refunded. We reserve the right to change, refuse and cancel any student offers or promotions. Valid Student ID must be presented on every purchase. Minimum spend of £5.00 to be eligible for 10% discount (£18 minimum order online).